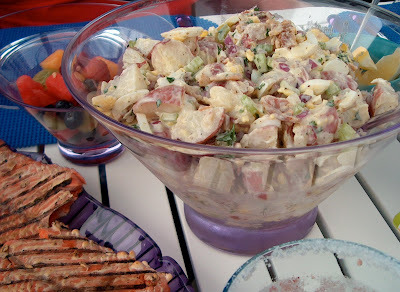 I confess that I've often nibbled on leftover potato salad for breakfast! If it was good the day before, it's always better on the second day. Lydia, I guess we have now proclaimed our potato salad breakfasts to the world. I'll just bet there are more of us out there. You make a wonderful argument for potato salad as a perfect breakfast food. I can go with that. Can't wait to give this version a try.